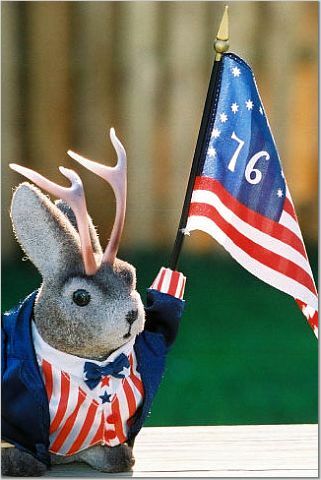 The Lope: Happy July 4th! 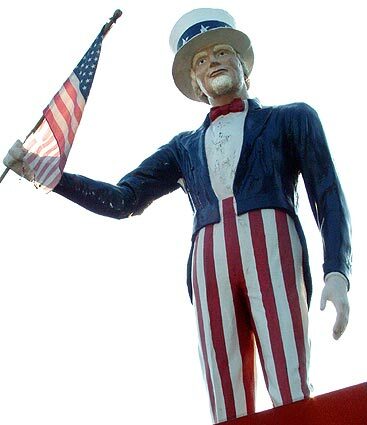 A fiberglass Uncle Sam waves a tattered American flag atop the Great American Car Wash in Terre Haute, Indiana. 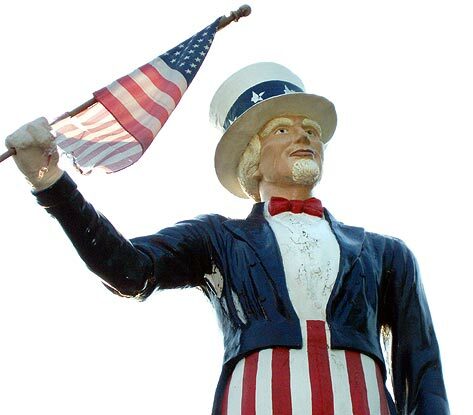 There is a nice entry about Uncle Sam at wikipedia. Residents and visitors stake out their positions the evening of July 3rd for the 4th of July parade the following morning in Centerville, OH. 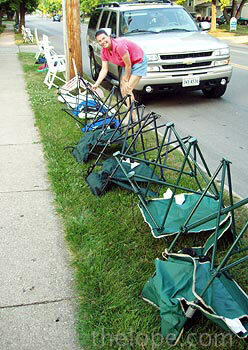 I'd never seen this sort of thing done before - that is, the leaving of chairs in position the night before a parade. 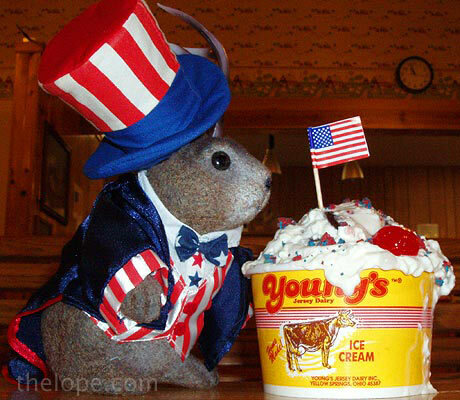 Ace Jackalope savors the anticipation of a TNT sundae at Young's Jersey Dairy in Yellow Springs, Ohio, on a pleasant July 3 evening. 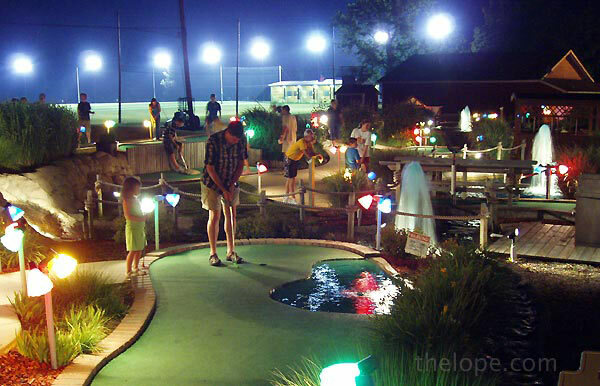 There are few better ways to spend a summer night than playing miniature golf with friends. We wish you a happy and safe Independence Day. Try not to blow up anything that's alive, including yourself.